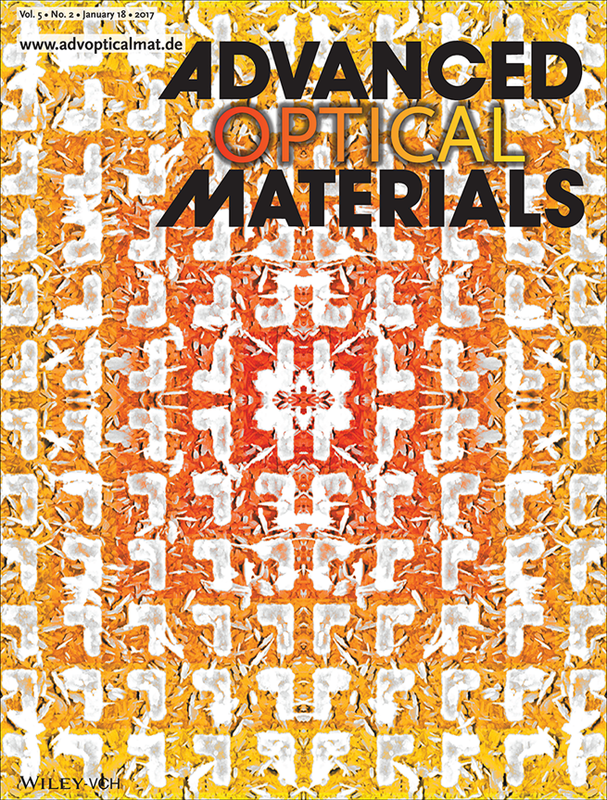 The photonic devices group published a work that has been selected for the inside front cover of Advanced Optical Materials, the leading journal dedicated to the most significant innovations in the field of optical materials. This study demonstrates the possibility to modify the optical properties of an optical material, in a non-volatile yet reversible way, by intercalation of ions. The concept of intercalation ion is bridged from the domain of electrochemistry (where it is widely used for the production of rechargeable batteries) to that of photonics, paving the way for a new class of reconfigurable devices, which can be extremely compact and low power consuming. In this work, the control of light through lithium ions has been exploited to modify the amplitude and phase response of chiral and achiral surfaces, which are key devices for the manipulation of optical beams. The research was conducted within the European project FP7-ICT BBOI (“Breaking the barriers of optical integrations”, www.bboi.eu), coordinated by the Politecnico di Milano (DEIB), in collaboration with the group of Inorganic Chemistry of the University of Münster. The realized device was partially fabricated at Polifab, the micro- and nanofabrication facility of Politecnico di Milano.